Blog / Facts & Figures / Top 3 badges MyLion™ users have earned! No one ever signs up to volunteer just to receive awards and accolades. However, recognition for a job well done can really encourage people to keep pushing forward as volunteers. With this in mind, MyLion introduced digital badges to members in July of 2017. Since then, over 40,000 badges have been awarded to MyLion users. A variety of badges are available to acknowledge members who promote adoption within their clubs, attend service activities, and those who set up their profile on MyLion. These badges are intended to encourage usage and adoption of the MyLion product. Collecting digital badges is a nice tribute to the physical pins Lions are accustomed to collecting. The data below shows the top three badges awarded on MyLion. More than 20,000 MyLion users have earned the “Mane Entrance” badge by setting up their personal profiles and adding a profile picture. I am one of the 20,000 people in this category, are you? If not, join us by completing your profile set-up in three easy steps. Tap on the profile icon at the bottom of the screen. Tap on the pencil icon located in the upper right corner above your name. This editing feature allows you to add or modify your profile picture. Tap on the text “Enter your personal bio here” and start typing to and share a few things about yourself. 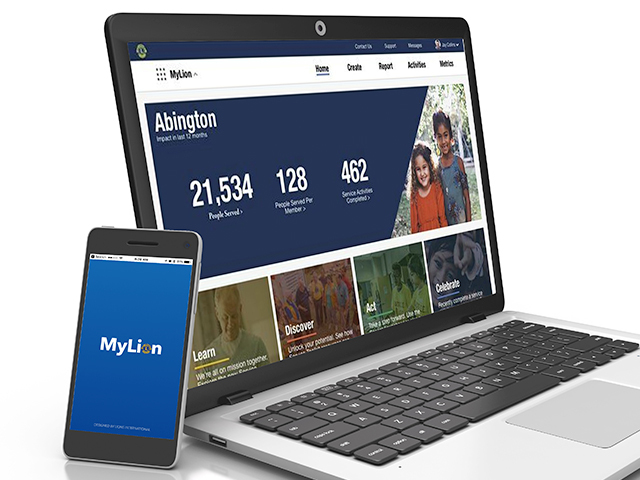 10,000 users registered the first month the MyLion app was initially released in July 2017. They earned the “Early Adopter” badge for their quick response. Now, this badge is exclusive and is no longer available to current users. 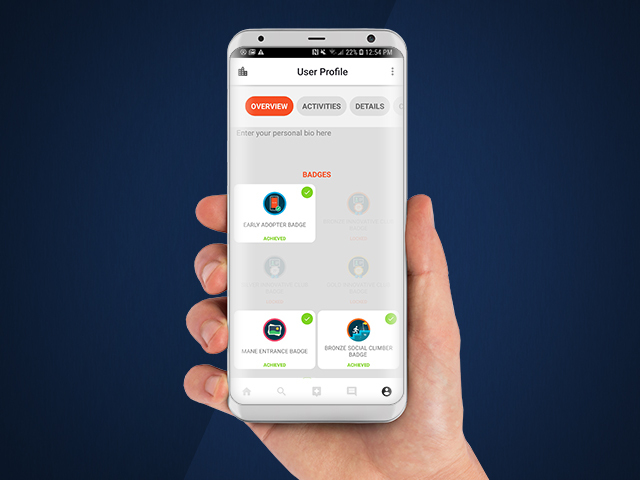 Following at least 10 users, activities or clubs will get you a Bronze Social Climber badge and the privilege to join about 1,500 MyLion users who have already earned this badge. Following clubs and people is literally a tap of a button in the MyLion app. In the search function, you will find the “Follow” button on the club’s and district’s profile pages. You can also look at the members affiliated with the clubs and choose to follow individuals. Thank you all for the time and dedication to your clubs and members. Please be excellent to each other and continue to share your stories of encouragement. At the end of the day, our achievements are not about collecting badges or navigating a tool, they’re about helping one another.